Ann and her husband, Phelim McAleer co-wrote the screenplay as well as the New York Times best-selling book of the same name. Ann and John discuss the film’s depiction of the discovery, investigation, and trial of Dr. Kermit Gosnell in Philadelphia as well as the surprising lack of media coverage of the trial. They discuss their comprehensive research of the case, the production of the film, and the challenges they faced in securing distribution. Filmed in Oklahoma City and Guthrie, Oklahoma over 21 days, the film employed over 300 local actors, extras, and crew members. 92.5 KOMA hosted the Oklahoma City premiere at Harkins Bricktown Theaters on September 19th. The film opens nationwide October 12th. 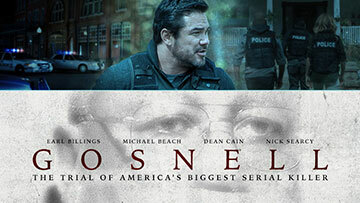 For a list of theaters and more information, visit gosnellmovie.com.